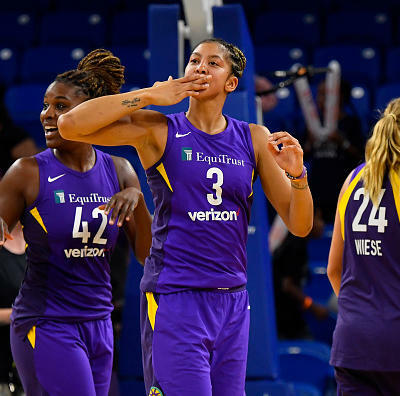 Steve Pimental provides the best DFS plays and optimal lineups for Sunday's four-game WNBA slate. As you will notice, I like a lot of players from the last two games on Sunday. It’s not exactly an earth-shattering revelation since three of the four teams in those games are in the top four in most points allowed over their last 10 games. While it may not be surprising to like players from those games, it may present an opportunity. My Optimal lineups are, as always, for the full slate of games for Sunday. That being said, you could probably adjust them pretty easily for late-only contests. If you like the players from the late games as much as I do, it would probably make sense. Since I’m only targeting a few players from the early game, my lineups will largely be the same. By entering a late contest, I don’t have to worry as much if someone from one of the early games has a huge game. If Breanna Stewart has a triple-double, my lineups could have a hard time keeping up, even if I get most of my picks correct. Playing a late contest could eliminate some of that risk. 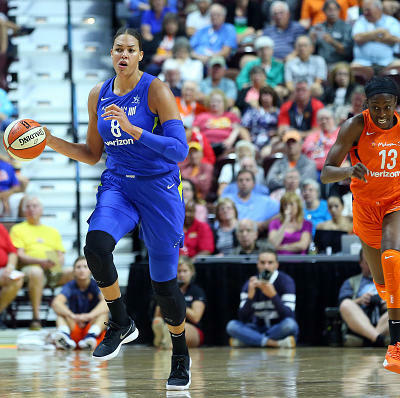 Candace Parker, F, LA $ 8,200 $ 13,000 Parker set new season-highs in field goal attempts (22) and rebounds (12) Friday with Nneka Ogwumike out. Parker always has a huge ceiling, but she should have a high floor in this game as well. A'ja Wilson, F, LV $ 8,300 $ 12,400 I used to consider A'ja Wilson a GPP play until I realized almost all of her bad games come on the road. 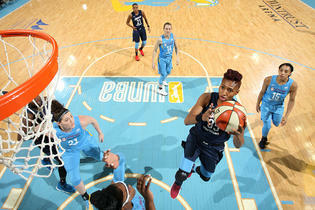 She is averaging 22.5 points, 10.1 rebounds, 3.0 assists and 1.9 blocks at home this season. Just in case you are still on the fence, she had 35 points, 13 rebounds, two assists and three blocks at Indiana last month. 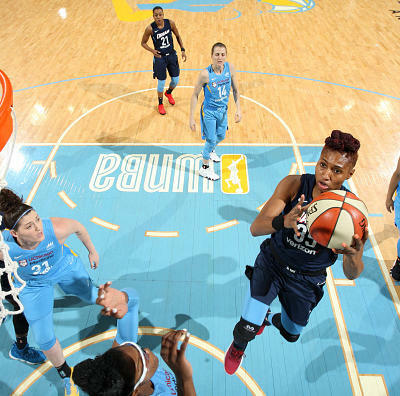 Angel McCoughtry, F, ATL $ 7,800 $ 10,500 McCoughtry's minutes and her shooting have been inconsistent, and her best game this month actually came when she was removed from the starting lineup for violating team rules. 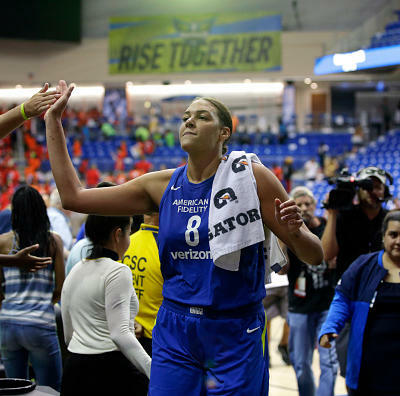 That being said, she is averaging 20.5 points, 7.5 rebounds and 2.0 assists against Seattle this season, and her ceiling remains as high as anyones. Kayla McBride, G, LV $ 7,600 $ 10,000 I still worry that McBride's shooting can go cold in any individual game, so I will always prefer her in GPP lineups. That being said, she has been much better at home this season, which makes her feel a bit safer in this game. 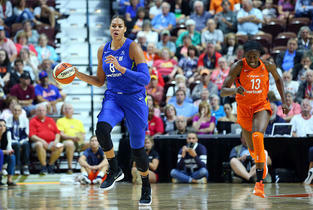 Chelsea Gray, G, LA $ 7,000 $ 8,800 Gray didn't exactly light the world on fire Friday, but she did have seven rebounds and five assists to go with 12 field goal attempts. 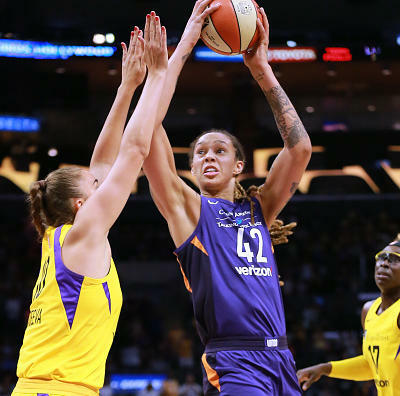 Her shooting has been awfully streaky, but even if she shoots 25 percent again, her minutes and usage make her pretty safe. 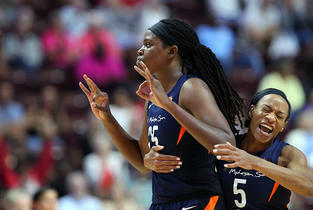 Chiney Ogwumike, F, CON $ 7,400 $ 8,400 If we knew for sure Ogwumike would play 30+ minutes, she would be a no-brainer. 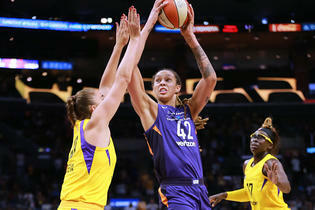 She played 30 minutes Friday against Seattle and had 21 points, 12 rebounds, two assists and two steals. I don't see any reason why she wouldn't play 30 minutes, but then again, I have no reason why she averaged 17.7 mpg in her last three games going into Friday. 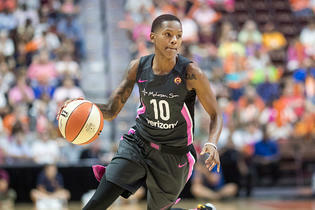 Diamond DeShields, G, CHI $ 6,500 $ 8,000 DeShields had a career-high eight assists Friday while also taking 17 shots. She has been a safe fantasy play for the last month or so, but if the Sky are able to push the pace again Sunday, she stands to benefit the most. Glory Johnson, F, DAL $ 6,800 $ 7,200 Johnson was, predictably, held to just 20 minutes Friday after playing 35 Thursday and 33 Tuesday. She isn't a lock for 30+ minutes, but I think she probably gets there. I love her price on DraftKings. 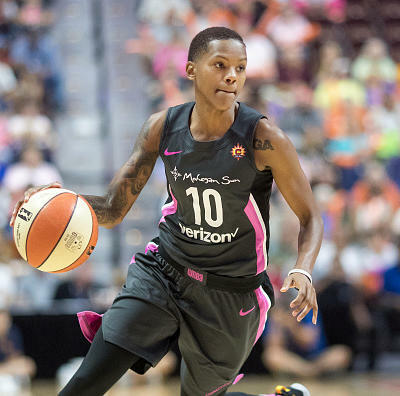 Alysha Clark, F, SEA $ 5,600 $ 7,100 Even after a rough game Friday, Alysha Clark is averaging 22.7 fantasy points on FanDuel over her last six games. He remains a strong cash play. 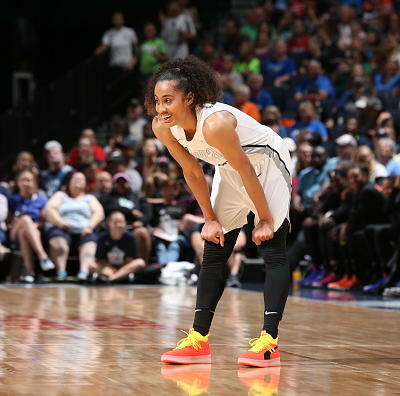 Tamera Young, G, LV $ 5,800 $ 6,800 Young's field goal attempts are down over her last two games, but I don't expect that to continue. Even if it does, she always finds other ways to contribute, and I love this matchup for the Aces. Cappie Pondexter, G, IND $ 3,800 $ 6,300 Can someone explain to me why she is so cheap on FanDuel? 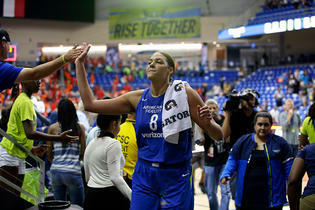 She has been a bit inconsistent of late, but she has played at least 26 minutes in three consecutive games. 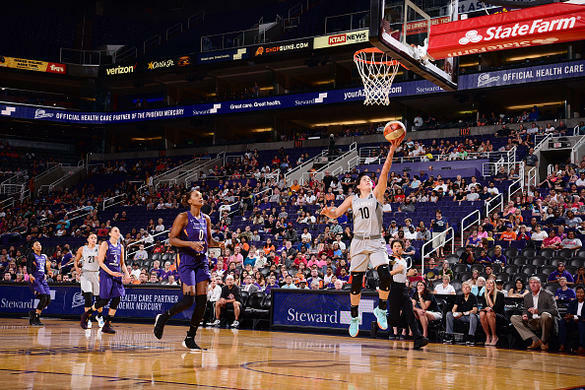 She averaged 24.5 fantasy points on FanDuel in those contests despite three tough matchups. Only the Sky have allowed more points than the Aces this season. Kelsey Plum, G, LV $ 5,100 $ 5,900 Kelsey Plum hasn't been quite as consistent as Tamera Young, but her playing time has been. 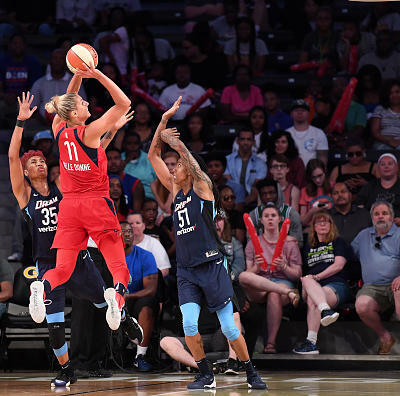 The Fever have allowed the 10th most fantasy points to opposing point guards, and Plum has an excellent chance to take advantage Sunday. 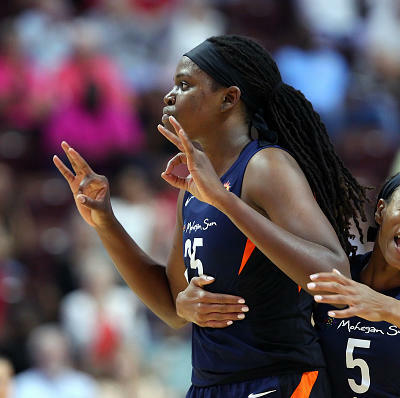 Odyssey Sims, G, LA $ 4,400 $ 5,600 Sims has played at least 34 minutes in each of her last two games, and I see no reason why that would change with Alana Beard and Nneka Ogwumike both out. 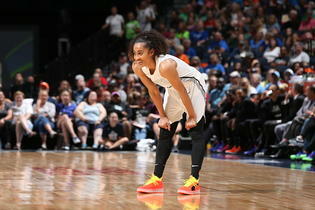 She is averaging 9.0 points, 4.0 rebounds and 3.5 assists over those two games. 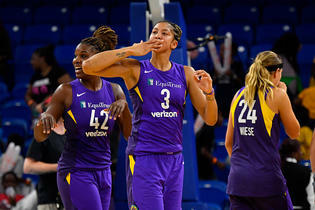 Jantel Lavender, F, LA $ 3,700 $ 5,500 Lavender had 23 points, six rebounds and three assists in 27 minutes Friday with Nneka Ogwumike out. Ogwumike is out Sunday as well, and while Lavender probably won't repeat that stat line, she should be a safe cash play. Essence Carson, G, LA $ 4,500 $ 5,300 Carson is averaging 8.7 points, 3.3 rebounds and 1.3 steals in 31.1 minutes per game over her last three games. With Alana Beard out, Carson should be safe once again. 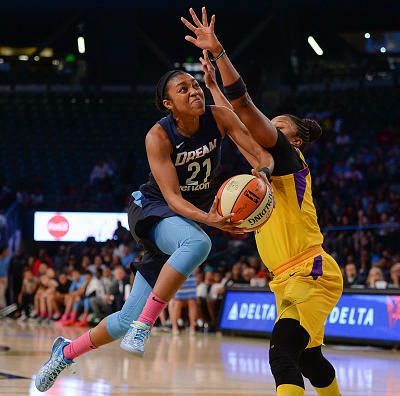 Dearica Hamby, F, LV $ 4,600 $ 5,100 Hamby is basically a cheaper Gabby Williams. 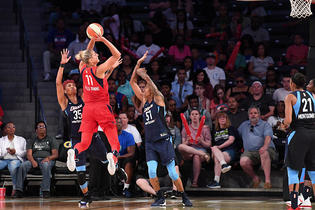 Hamby should see more minutes and shots in what should be a favorable matchup, and Hamby did have 11 points and six rebounds in 14 minutes in her only game against Indiana this season. I would be perfectly content if she matches that production, but I think she has the potential for more.